The boiler in your home produces steam or hot water that flows thru pipes which produce heat in your home via a radiator, baseboards or tubing embedded in the floor. 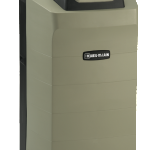 Most heating systems with boilers will be hot water heating systems. 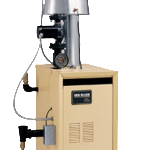 Some older homes and larger homes may have steam heating systems. 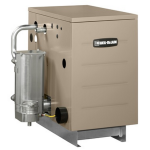 Both steam and hot water heating systems are efficient means of keeping your home warm. We also use boilers in radiant floor heating system, for the same reason. The right boiler will last you a very long time. Choosing the right boiler is where we come in. 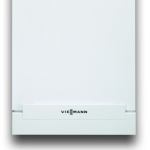 The look of a boiler varies as there are many different options available to fit the right application. 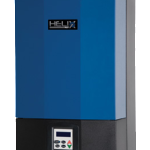 They have evolved from only having floor models to wall mounted and modular boilers that make for cleaner installations. 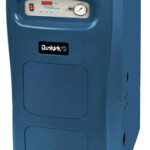 We sell and support Weil-McLain and Dunkirk brand boilers. Weil-McLain has been the leader in the industry since the 1800’s and Dunkirk makes some of the most effective systems available.